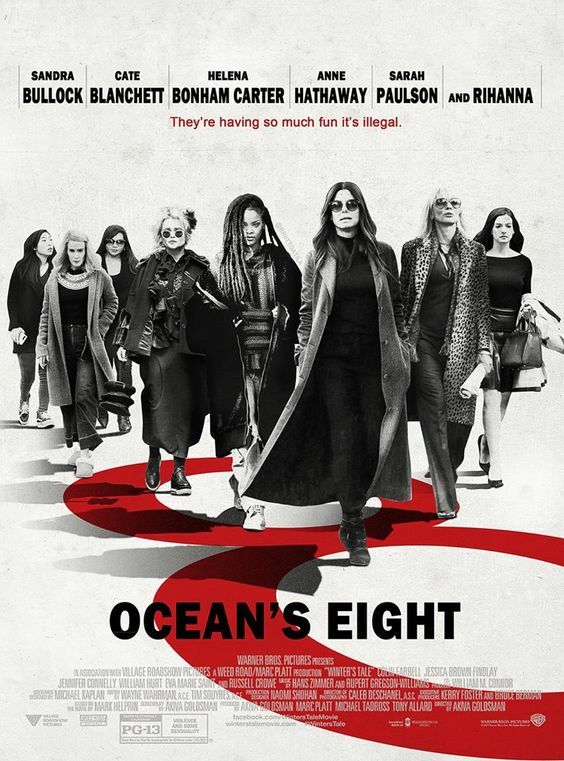 A new trailer is below for the female spin-off of 'Ocean's 11,' 'Ocean's 8.' Directed by Gary Ross the film stars Sandra Bullock, Cate Blanchett, Anne Hathaway, Mindy Kaling, Sarah Paulson, Awkwafina, Rihanna and Helena Bonham Carter with James Corden and Richard Armitage. Five years, eight months, 12 days...and counting. That’s how long Debbie Ocean (Sandra Bullock) has been devising the biggest heist of her life. She knows what it’s going to take—a team of the best in their field, starting with her partner-in-crime Lou Miller (Cate Blanchett). 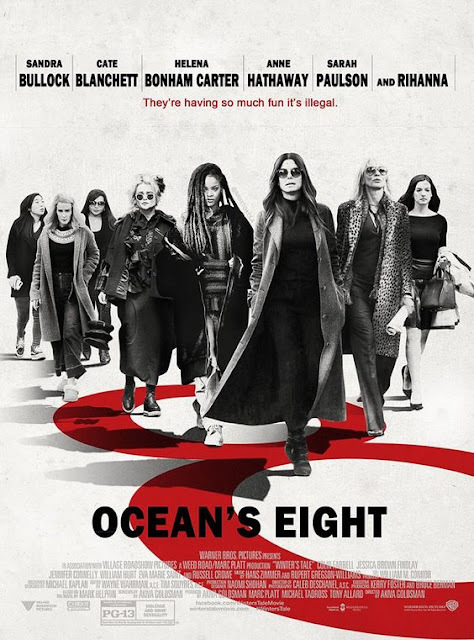 Together, they recruit a crew of specialists: jeweler Amita (Kaling); street con Constance (Awkwafina); expert fence Tammy (Paulson); hacker Nine Ball (Rihanna); and fashion designer Rose (Bonham Carter). The target is a cool $150 million dollars in diamonds—diamonds that will be around the neck of world-famous actress Daphne Kluger (Hathaway), who will be centerstage at the event of the year, the Met Gala. The plan is rock solid, but everything will need to be flawless if the team is going to get in and get away with the ice. All in plain sight. 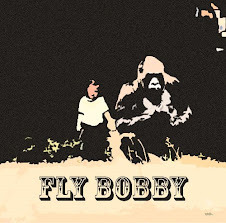 The film has a June 8, 2018 date.